INWOOD — A long-delayed ramp linking Dyckman Street to the Hudson River Greenway's bike and pedestrian paths is now open to the public. 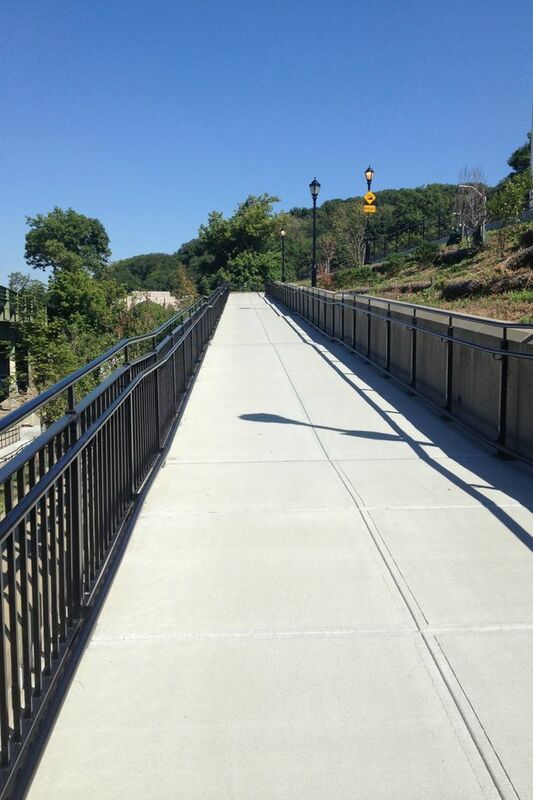 The ramp officially opened on Monday, a Parks Department spokeswoman said, though some local cyclists on the Inwood Community Group's Facebook page reported being able to access the ramp as early as Sept. 5. An official ribbon-cutting ceremony will be announced soon, after a few additional items are completed, including line striping and landscaping, the spokeswoman said. From Dyckman Street, the ramp entrance is situated under the Henry Hudson Parkway overpass, immediately next to the brick building housing public restrooms and a Parks Department equipment shed. The ADA-compliant ramp was initially slated to open in September 2014, but construction delays held up the project for an additional year. Locals were happy to discover that the construction fence had been removed, leaving the path open for use. “It's tremendous,” said Leroi Wells, of The Bronx, who bikes the greenway every weekday to get to his job on 14th Street. Previously, users of the greenway were forced to enter and exit the Hudson River path via a set of stairs near Riverside Drive. “Lugging a bike up and down the stairs was a huge hassle,” said Inwood resident Kevin Beganics, who said he runs or cycles on the greenway two or three times a week. Beganics said he is glad to have more direct access from Dyckman Street, and that he could avoid crossing busy Riverside Drive, where cars routinely rush onto the Henry Hudson Parkway. “Getting across Riverside could sometimes be a little dicey,” he said. At nearby Tread Bike Shop on Dyckman Street, store employee Mijares Prensa said that customers had routinely expressed frustration with delays in completing the project.